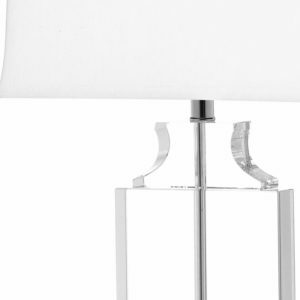 Safavieh Lighting Collection Deirdre Crystal Urn 26-inch Table Lamp is now available at Amazon.com for just $111.76(REG $285.00) (As of 10 February 2019, 20:07 PST – Details) with $173.24 (61%) Savings. 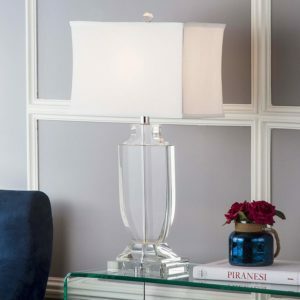 Clean and contemporary, the Deidre clear crystal urn lamp is destined to become the focal point of a living room, bedroom or hall. 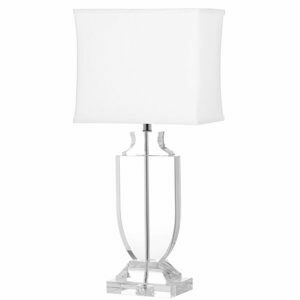 Crafted of solid crystal, the surprise is a two dimensional base that brings a fun contemporary update to the ages-old vessel motif. Deidre is finished with a white linen rectangular shade.